A new, 30,000-square-foot coworking space in Oak Ridge has opened and hopes to attract the science and technology startups, consultants and experts flowing into the region. 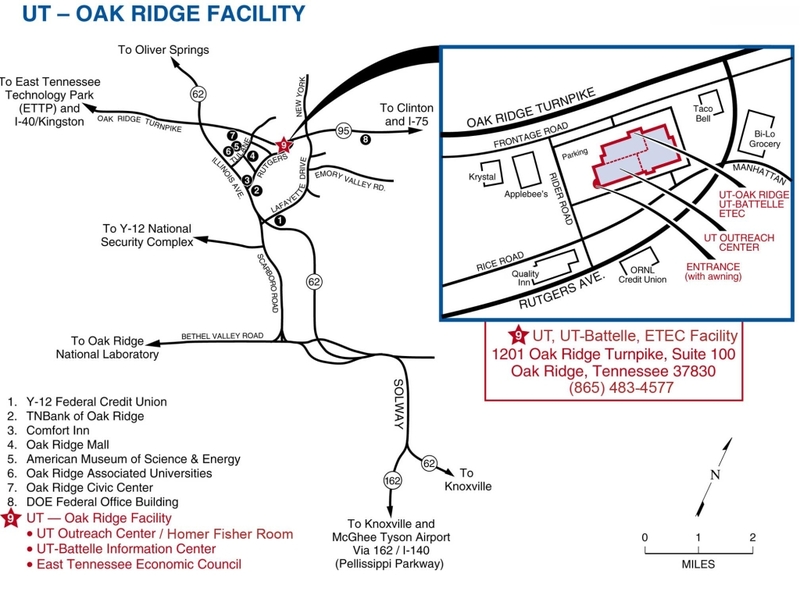 Ts117, (the periodic symbol and atomic number for the synthetic elemental chemical Tennessine) offers space across the street from Y-12 and near ORNL. Developed by R&R Properties, Ts117 offers flex space modeled after coworking giant WeWork. A team of researchers from ORNL's Health Data Sciences Institute have harnessed the power of artificial intelligence to better match cancer patients with clinical trials. The researchers were part of The Opportunity Project (TOP) Health Sprint, a 14-week effort. The TOP tools rely on emerging technologies and were built using open data from governmental agencies such as the National Cancer Institute and the Department of Veterans Affairs. The vast majority of ponds and landfills holding coal waste at 250 power plants across the country have leaked toxic chemicals into nearby groundwater, according to an analysis of public monitoring data recently released by environmental groups. The report found that 91% of the nation’s coal-fired power plants reported elevated levels of contaminants such as arsenic, lithium, chromium and other pollutants in nearby groundwater. Seeking to Shrink Bears Ears, Uranium Firm Met with Interior Dept. A meeting between an Interior Department official and a company tied to mineral interests in the Bears Ears National Monument area — almost a month before President Donald Trump requested a review that substantially reduced its boundaries — may end up in the crosshairs of House Natural Resources Chairman Raúl M. Grijalva. The Natural Resources Committee is scheduled to hold its first oversight hearing on the monuments review in March. Three events are planned in March to celebrate the 70th Anniversary of the opening of both the city’s gates and the nation’s first atomic energy museum. Join AMSE, the AMSE Foundation, the Oak Ridge History Museum and the Oak Ridge Heritage and Preservation Association for these upcoming events that will uniquely honor the 70 years of science and heritage and the people who shaped and redirected a pivotal moment in history for the betterment of all. Thank you to Retirement Planning Services for sponsoring the meetings in March.